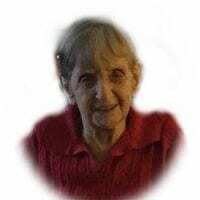 Miss Oriska Hampton age 78 of Blairsville, GA passed away peacefully at Union General hospital surrounded by her loving family on Wednesday October 31st, 2018. Miss Hampton was born on February 22nd, 1940, the daughter of the late Dennis Hampton & Eual Miller Hampton. Miss Hampton was an avid talker, loved reading and loved playing games. She was a 1956 graduate of Union County High School. She was a native and lifelong resident of Union County. Miss Hampton was a member of First Baptist church. Miss Hampton is survived by cousins Dillon & Mary Chastain of Blairsville, GA, Charlotte Webb of Murphy, NC, Judy Williams of Concord, NC., and Beulah Chastain of Murphy, NC. Many more cousins, extended family and other relatives also survive. Funeral services will be held Sunday November 4th, 2018 at 2:00pm from the Mountain View Funeral Home chapel with Rev. Fred Lodge officiating and a eulogy will be presented by Billy Decker. Special music will be presented by Ed Lawrie. The following gentleman will serve as pallbearers; Derek Harwood, Billy Decker, Jim Allison, Josh Bergen,, Sam Combs & Joe Fair. Interment will follow at Hampton Church Cemetery in Murphy where she will rest next to her parents. The family will meet with friends at the funeral home on Sunday from 12-2:00 pm prior to the services.